Technological advancements have given man the ability to make life size robots that can replace men from performing many life threatening jobs like a bomb disposal expert, a firefighter or even soldiers. Here is Walk-Man: An engineering and technological marvel and a humanoid robot that they say can operate human tools and interact with its environment in the same way a person would. The engineers hope their Walk-Man robot will prove a more effective design for search and rescue situations where it's too dangerous for humans to venture. 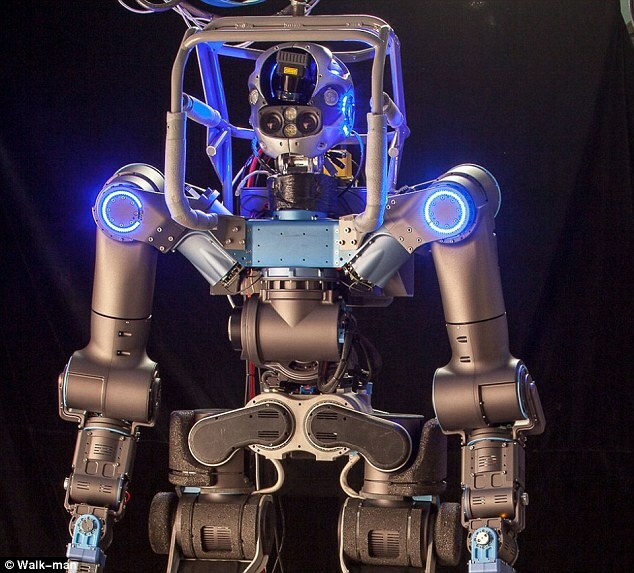 Walk-Man is a 6ft tall, 260 lbs robot with a stereo vision system and rotating laser scanner and is able to use its arms, legs and feet for stability and balance.